The gut microbiota with various bacteria, among others bifidobacteria, is established in early infancy. 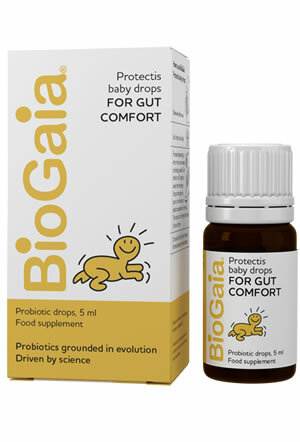 The microbiota plays an important role in the development and function of the gastrointestinal and immune system. 21 day supply. 6 drops daily. Neutral taste. Give directly to mouth using sterilised spoon or dropper, or mix with milk. The gut microbiota with various bacteria, among others bifidobacteria, is established in early infancy. The microbiota plays an important role in the development and function of the gastrointestinal and immune system. 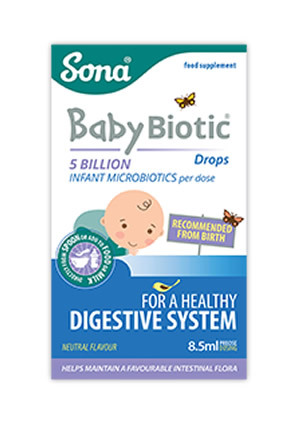 Sona Babybiotic is a food supplement for infants from birth containing 5 billion Bifidobacterium (BB-12®) in each daily dose. This strain of micro-organism has the documented effect, stability and has been tested in numerous clinical trials in infants with proven safety and afficacy. 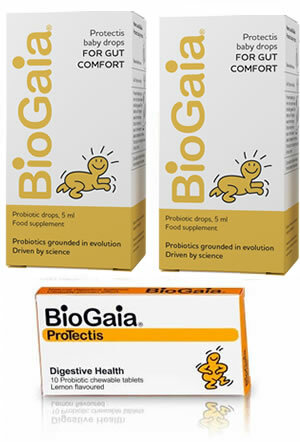 The BB-12® probiotic strain is one of the world’s most documented Bifidobacterium. It is described in more than 300 scientific publications out of which more than 130 are published of clinical studies dating back to 1987. Bifidobacterium (BB-12®) has a long history of use and has been tested in clinical trials over more than 25 years. Infants from birth: 6 drops daily. Shake the bottle well before use. 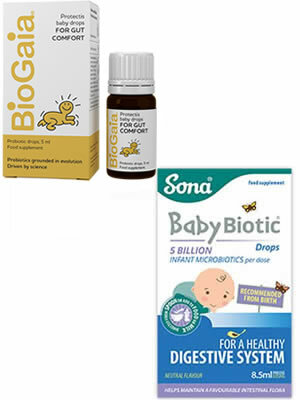 Can be dispensed directly to baby on a spoon, or mixed in the formula milk or added food for older infants. Product does not need to be refrigerated. After opening, use within one month. Do not exceed the recommended dosage. Store at ambient temperature below 25°C, out of direct sunlight. Keep out of reach of children. A supplement is not a replacement for a healthy diet. Ingredients Sunflower oil, Natural Vitamin E and Citric acid.